Cheese is a unique strain, until now, available as clone form only. Like many cannabis strains the history and origins of Cheese are somewhat confused and distorted. Cheese originated in 1988-89 as one unique female phenotype out of packet of Sensi Seeds Skunk No. 1 grown somewhere in the Chiltern Hills. 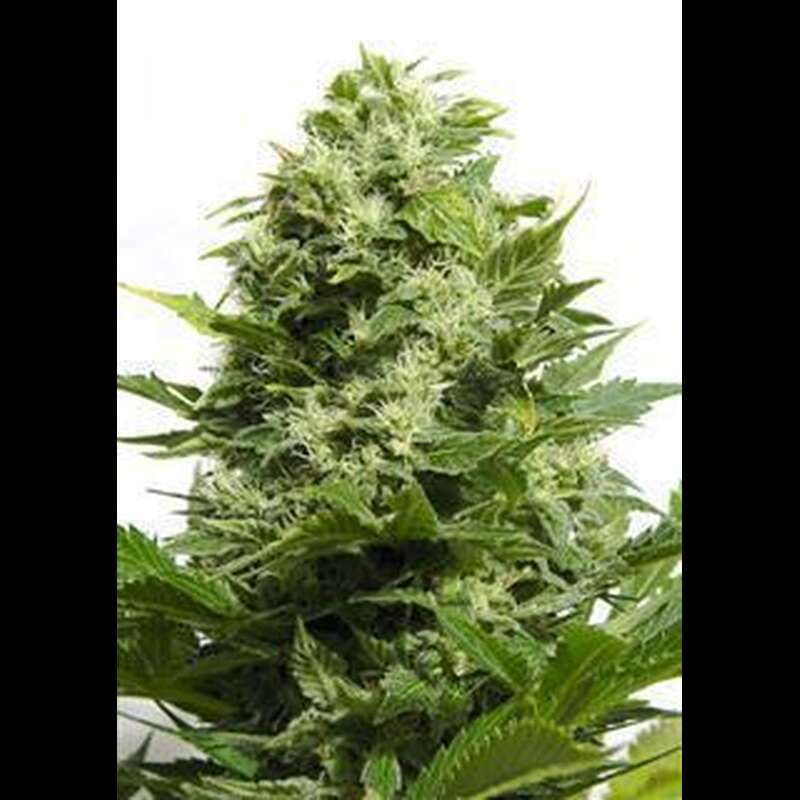 This one plant produced impressively large buds and had a very distinctive cheesy odour. It was quickly cloned and named Cheese.Around 1995 a Cheese clone was passed on to Exodus, an alternative community living in Haz Hall on the edges of Luton. Exodus organised free parties, championed the legalisation of cannabis, grew cannabis themselves and protected each other from the law. They also started CANABIS (Campaign Against Narcotic Abuse Because of Ignorance in Society). Because of all the people that passed through the Exodus community many clones were handed out to visitors and the strain continued to grow in notoriety. For many years Cheese has passed around an underground network of growers in the UK, helped by Exodus and others, until one clone came into the hands of the Big Buddha.The Big Buddha realised its importance and set about crossing the clone with a suitable father. This he found in a traditional landrace, pure-bred Afghani that a friend had brought back from Afghanistan during travels in that area.The result is a strain that takes 8 ? 10 weeks to flower and is consistently a much better yielder than the original Cheese, and flavour and taste is well preserved. Appealing fruity fresh smell, uplifting effect, highly pungent hence its name!